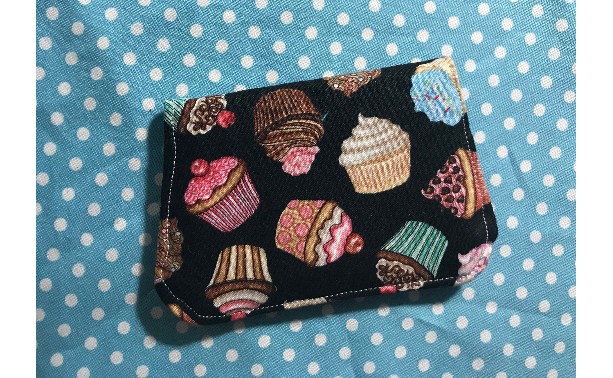 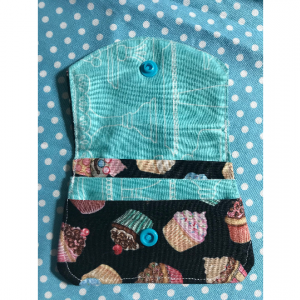 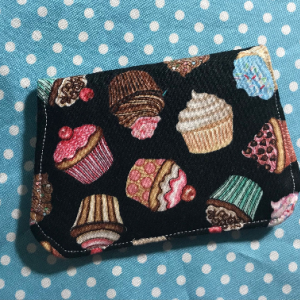 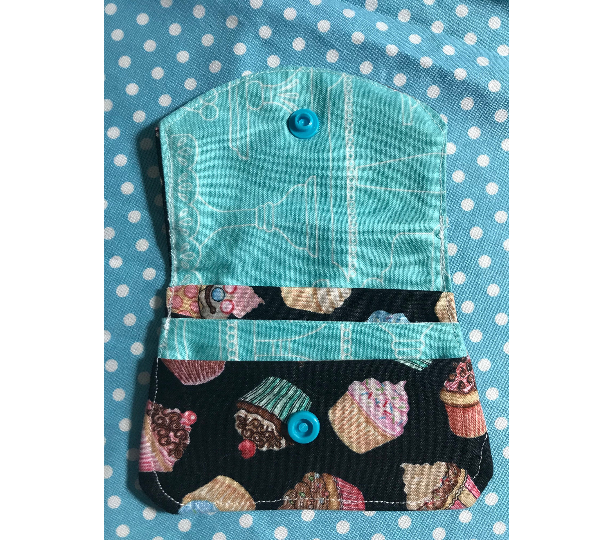 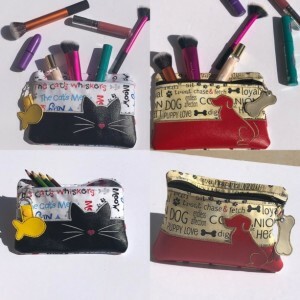 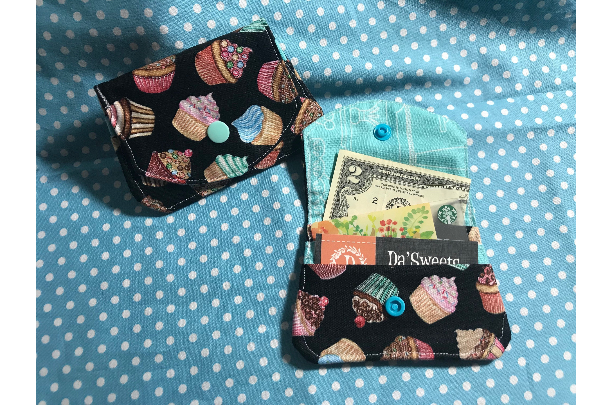 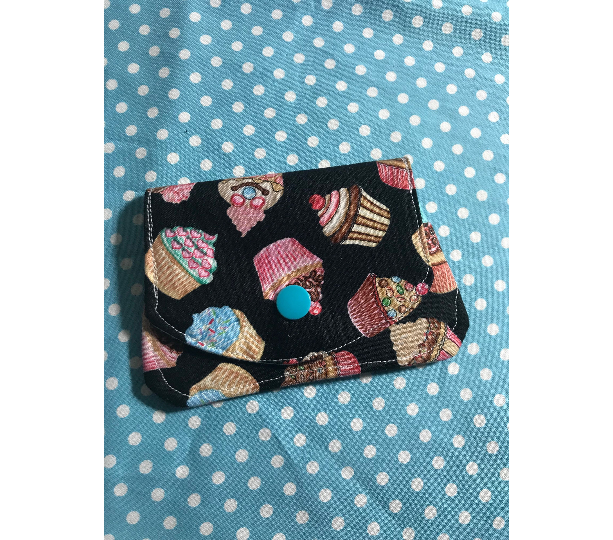 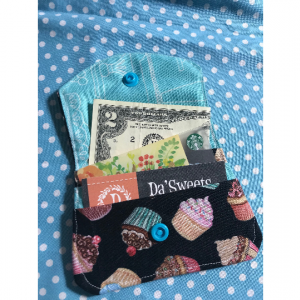 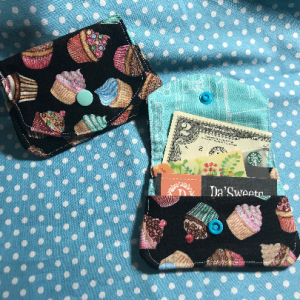 Cupcake Wallet. 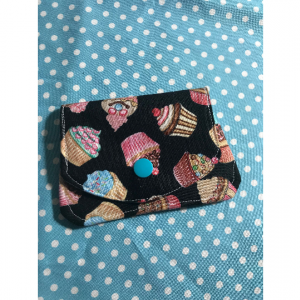 this wallet has 3 pockets, has a snap to secure , it is great to carry to the bakery with the necessities; DL/ID, Credit Card, some dollar bills. 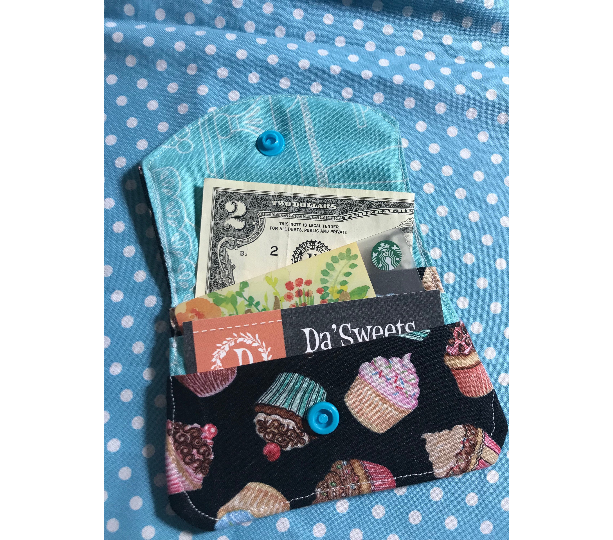 Fits perfect in your back jean pocket or front pocket.